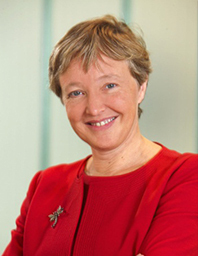 Baroness Valentine joined London First in 1997 as Managing Director, becoming Chief Executive in 2003. Her role centres on representing to national and local government the most pressing issues affecting London’s leading businesses. Prior to London First, Jo Valentine worked in corporate finance and planning at Barings and BOC Group. She established and ran ‘The Blackburn Partnership’ a public-private regeneration partnership in 1988 and the Central London Partnership (CLP) in 1995. She was a National Lottery Commissioner from 2000 to 2005. She became a Crossbench Peer in October 2005 and contributes frequently to debates, mainly on economic and competitiveness issues. She sits on the House of Lords Committee which provides prelegislative scrutiny of European infrastructure proposals. Baroness Valentine is a Non-Executive Director of TP70 2008(ii) VCT plc, a Non-Executive Director of Peabody, and an Honorary Fellow of St Hugh’s College Oxford.